I was working on a video in which camera moves along with the train object, all animation was going well. 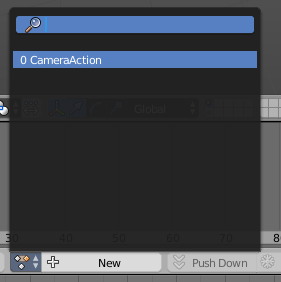 I am not sure what key I accidentally pressed and my camera is not showing in the view any more. Where as camera is still visible in the outliner. How can I get my camera back? Its easy to just delete the camera and create a new one but in this case I will lose my animation already applied on camera. Check that you camera is not hidden and it is on visible layer. You will not lose animation because block with animation data will not delete with object. 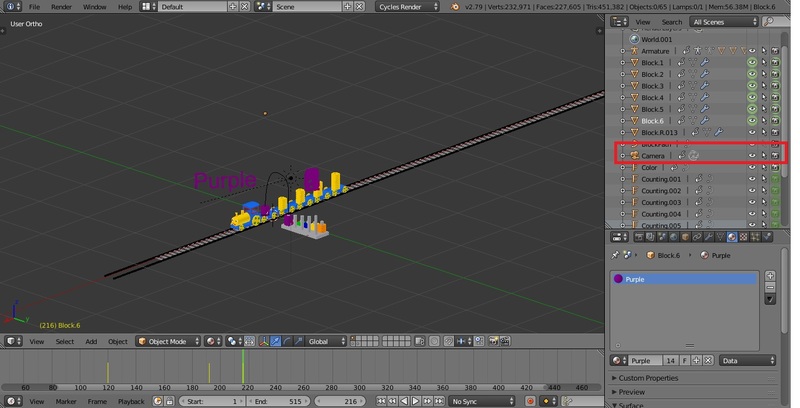 how to playblast camera in Blender?